DJ Fresh (born Thato Sikwane on 5 October 1972) is Motswana-South African radio DJ, Record Producer, Radio and Television Personality and Businessman. He was the host of the Fresh Drive on SABC's 5FM; on that radio station he spent 11 years. In April 2017 he moved to SABC's Metro FM where he hosts the Fresh Breakfast. DJ Fresh also serves as a judge on e.tv's reality competition SA's Got Talent. DJ Fresh was born born Thato Sikwane on 5 October 1972 in Gaborone, Botswana. He attended the prestigious Maru-a-Pula School. DJ Fresh briefly studied a law degree at the University of Botswana before leaving for South Africa. He came to South Africa to study Advertising and Journalism at Boston City Campus and Media House. DJ Fresh started Djing when he was 13 years old. He got his first job on radio when he was 18 years old in Botswana at RB2 and in 1994 he was voted the Lemon Twist Radio DJ of the Year in Botswana. He also met legendary DJ and Record producer, Oskido, in 1992 and they have remained friends since. DJ Fresh has gone on to say, "One of Oskido’s biggest legacies will be that he has given so many kids the opportunity to get into the industry". He has cited Oskido as his mentor on numerous occasions. DJ Fresh joined YFM as it was vying for prominence in Johannesburg and greater Gauteng in 1997. Although the station first broadcast in broadcast in 1995, it would be during the years of the likes of DJ Fresh that it would become a powerhouse it is today, "a majority of artists who are big right now - we YFM made them, they made us YFM", DJ Fresh was once quoted by BBC World. In 2006 DJ Fresh left YFM for [[5FM]; "I am excited about being part of the start of a new 5FM era. I grew up listening to the then Radio 5 and Capital. Capital is no more - so, naturally... See you July 3rd!" - DJ Fresh quoted in 2006. 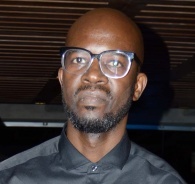 He hosted the Fresh Drive and later hosted the 5FM's breakfast show. In April 2017 he moved to Metro FM where he is hosting the breakfast show. 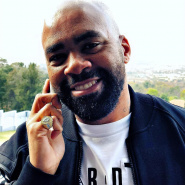 In an August 2017 interview he revealed that he turned down an offer from Primedia's 947. "I turned it down it because I want to service people. And the best way I could get that was at Metro," DJ Fresh told Times LIVE. In 2009 DJ Fresh became host of e.tv's Tropika Island of Treasure in its second season which took place in Zanzibar. 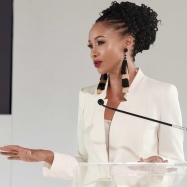 He went on to host Tropika Island of Treasure Thailand, Tropika Island of Treasure Mexico and Tropika Island of Treasure Jamaica which featured slain model Reeva Steenkamp. 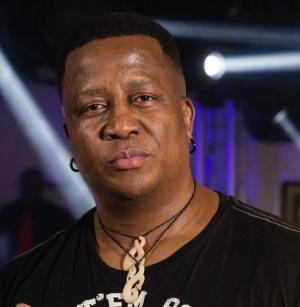 DJ Fresh appeared on the South African version of Test The Nation. In 2011 DJ Fresh was part of 5FM's short-lived foray into television, (TV)5. In that same year alongside Euphonik, DJ Fresh co-hosted the short-lived SABC 1 magazine show, Club Culture. In 2013 he played fictionalised character of himself on the second season of SABC 1's My Perfect Family. In 2014 he joined e.tv's SA's Got Talent as a judge alongside Shado Twala and Lalla Hirayamawith Tats Nkonzo as host. 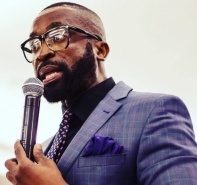 In 2015 he served as a teacher on SABC 2's Dream School SA. In 2018 DJ Fresh served as a judge on the second season of SABC 3's Presenter Search on 3 and served as a Roaster on The Comedy Central Roast of Somizi. He has been the subject of M-Net's My Story and SABC 1's Zaziwa. DJ Fresh is a great proponent of education, even early on in his career he sought to influence institutions to give out bursaries and fund education for those who could not afford it. He has worked in partnership with Boston City Campus and Media House, where he also studied, even appearing on their television adverts. He has reportedly also worked with RAU, Rosebank College and Monash University. In 2000 DJ Fresh influenced his then employer, YFM to adopt 100 matriculants from the Gauteng province's star schools who every Sunday attended extra classes until the exams were completed. He also arranged career talks for the pupils with professionals from different sectors who offered insight in their respective fields. In 2001 he founded the DJ Fresh Annual Scholarship as an extension to the already existing scholarship - in partnership with other institutions. 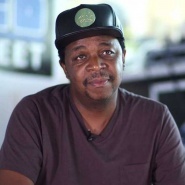 "The aim of the scholarship is to give matriculants from the so-called formerly disadvantaged communities an opportunity to explore all facets of life, while at the same time helping to break the stereotype that lawyers and doctors are the epitome of success," DJ Fresh was quoted by the Independent Online in a 2002 interview. DJ Fresh has been married to former Kaya FM talk show host, Thabiso Sikwane, for over 15 years. He has four children; daughter from a previous relationship, a son, a daughter and another son. He has one grandson. This page was last edited on 10 February 2019, at 17:48.